So, what is Sunyata? Come to think of it, does it even make sense to ask that question? Earlier we defined Sunyata as "Emptiness" or "the Void." In other words, it seems to be pure nothing or non-being. So, then it does not appear to make sense to ask what non-being is. By definition it isn’t anything. The hitch is that, when we talk about it, it is impossible not to make reference to non-being as though it had existence and even had properties. Consequently, we can entertain ourselves with silly word games, which are thoroughly unhelpful and do no justice to the concept of Sunyata in Buddhism. Underneath this silliness is a serious problem that has been debated by both Eastern and Western philosophers for millennia. No matter how hard we try to avoid it, the grammar connected to the word "nothing" makes us treat it as though it were a substantive noun. Parmenides, the ancient Greek philosopher, told us that we cannot talk about that which is not--but in the process he was doing the very thing he said we could not do. 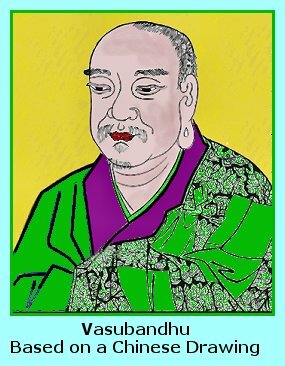 Thus, the status of Sunyata is just one case in point, but it is a very significant one since it is at the root of the philosophy undergirding Mahayana Buddhism. <="" a="">There are two dominant philosophical approaches to the nature of Sunyata, called Madhyamaka1 and Yogacara (pronounced “yogachāra”). Now, we need to understand that these are not different religious schools of Buddhism, akin to, say, the Pure Land School or Tendai. Rather, they are two conceptual schemes that provide a framework for the doctrines of a number of schools. Most schools of Buddhism accept the Madhyamika philosophy, but the Yogacara school left an important legacy. It saw itself as completing Madhyamaka, so we need to address that philosophy first. The name itself means “the middle way,” which is a phrase that gets more than one use in Buddhism. For one, it applies to the realization that Gautama had underneath the Bodhi tree when he received enlightenment. He came to the awareness that truth is found neither in a way of luxury and ease nor in extreme asceticism, but in a “middle way.” In the case under consideration now, the meaning is very different; it has to do with the nature of reality. Here the “middle way” represents a path between the universe being a) a fully real and existing thing and b) absolutely nothing. The person who is usually credited with being the founder of Madhyamaka is Nagarjuna, who probably lived in India in the second half of the second century AD. He is considered the fourteenth patriarch in the line of Chan (Zen) Buddhism, and among many Buddhists he is revered as a Bodhisattva. 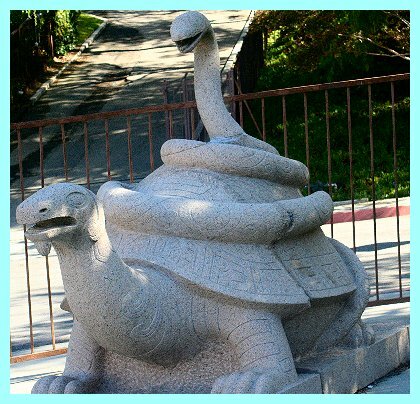 Some people have found some importance in the fact that his name begins with naga, the Sanskrit word for "snake," but we actually do not even know whether that is the correct etymology of his name, and any legends connecting him with serpents are clearly ex post facto creations. Obviously, Nagarjuna based his doctrines on those of previous thinkers, and his thought was elaborated by others after him. 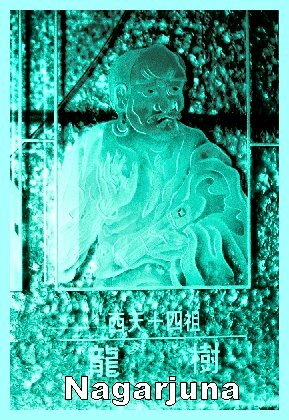 He sought to delineate a coherent philosophy out of a collection of Mahayana sutras, which together were called the Prajnaparamita Sutra, the "Sutra of the Highest Wisdom." It is not entirely easy to delineate where his own thought picked up and left off because more books are popularly credited to him than he could conceivably have written. However, there is no problem with identifying the core of his teachings. "Is the world eternal?" --"I won't say." -- "So is the world not eternal?" --"I won't say." Nagarjuna adopted the same attitude of staying away from making any general, let alone universal, statements on various issues. These are expressed in his "Eight Negations" or "Eight Denials," which are translated with different words from edition to edition, but carry similar meanings. It appears that at times the language in the translations has been chosen partially for the sake of aesthetic beauty, but I shall regretfully set aside poetic appeal, select the words that I think are the clearest, and supply further words in parentheses in order to increase the clarity if necessary. There is no eternity (or permanence). There is no plurality (or duality). There is no coming (or arriving). There is no going (or leaving). Nagarjuna was, of course, neither the first nor the last thinker to hold that logical contradictions can be sublimated in the light of whatever was considered to be absolute, but it is all-too-easy to let his distinctiveness get lost in comparison with other thinkers. Immediately the philosophy of Advaita Vedanta, as advanced by Shankara, comes to mind. Shankara believed that ultimately the only reality is that of Brahman, which cannot be described with words and concepts. His famous phrase is "neti neti"--"It is neither this nor that." In one obvious sense, a similarity cannot be denied. Looking at Nagarjuna from a Western perspective, the Oxford Philosophical Dictionary opines, "Nagarjuna's teaching resembles that of monists in the western tradition, such as Parmenides and Bradley." If that comparison is intended to raise the standing of Nagarjuna as philosopher because he addressed matters that were also addressed by Parmenides and by the Oxford philosopher F. H. Bradley (1848-1924), then we ought to leave any such elitism to the side. If, on the other hand, the statement is intended to make a helpful conceptual contribution, whether it does so depends on the amount of rigor with which one interprets the word "resembles." If we may once again pick up a theme running throughout this website, it becomes a question of how much we allow differences in content to distract us from ascribing resemblances. All three of the above thinkers--Parmenides, Shankara, and Bradley--share the notion that in the final analysis the only thing that has real being is the pure Absolute. There is a fundamental reality, and our everyday awareness is only a disguise that conceals this reality. We can refer to the type of philosophy in which there is only one reality as "monism." However, thereby these philosophers are going into the opposite direction from the one into which Nagarjuna wants to lead us. For him there is no absolute reality or pure being. The fundamental nature of all we perceive is Sunyata, which we have defined as pure Emptiness. So, there is a huge difference between Nagarjuna (as well as other Buddhists) and various monists, namely the difference between being and non-being. Even though Western philosophers have found it convenient to classify Buddhism with Parmenides, Shankara, and, say, Spinoza, according to Western categories, they have thereby turned Nagarjuna upside down and stood him on his head. As for Bradley, he certainly was a monist, but if his thought should be compared to anything in Buddhism, it would be Yogacara, not Madhyamaka. I am harping on this point of the distinction between Nagajuna and forms of monism because the failure to observe it has contributed to the unfortunate characterization of Buddhism as pantheism, which it definitely is not. Still, none of the above differentiation saves Nagarjuna from having to deal with the same issue as a monism of being would, namely the question of how one can perceive the world in one way even though its true nature manifests different, logically incompatible, properties. Let's face it: No matter what the philosopher or guru may tell us, we live in what we commonly call the "real" world. If I'm suffering in the real world, and if someone were to tell me that my suffering was only an illusion, my reaction would be to say that in that case I was suffering from the illusion of suffering, which doesn't seem to be any better. Furthermore, there is the perennial question of how total emptiness can be real. Something has to give. Nagarjuna reassessed how we are to understand the nature of reality. He concluded that we have to think on two levels, that of everyday experience and that of the Ultimate. 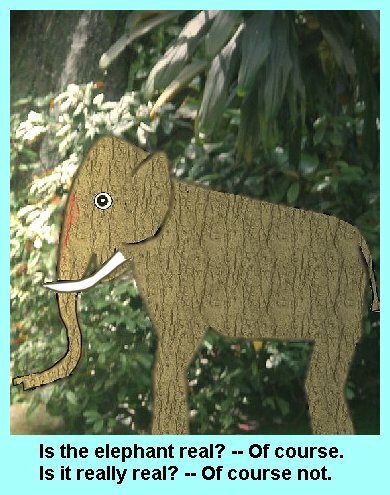 A statement concerning experienced reality is not false; e.g., "I see an elephant." But its truth is only conventional truth (samvriti satya). That fact does not mean that we have to despise this form of reality; we simply have to accept it for what it is. "How real are the things in the world?" I asked a Buddhist master. "As real as they can be," he responded. If I were to continue to ask how real they can be, the answer would be, according to Nagarjuna, that the limit is at the point of their having their own being. In his terms, they lack svabhava, literally "self-being." In English this concept has been translated as their lacking intrinsic being or that they exist without having an essence. All of this comes down to the idea that things exist only insofar as they are a part of that huge complex of mutually interdependent causes and effects called "dependent origination" (pratitya-samutpada), which, in the final analysis, is not real but covers up the fundamental emptiness of Sunyata. This, says Nagarjuna, is absolute truth (paramartha satya). And that statement takes us back to our original description of the Mahayana view of the world: everything is caused (by dependent origination), but it is Sunyata, i.e. Emptiness. If Yogacara saw itself as a completion of Madhyamaka, the Madhyamikin adherents did not perceive it that way, but believed that it was a distortion and a corruption of Buddhist philosophy. Ultimately, Yogacara did not persist in very many places. The originators of the Yogacara movement were two half-brothers in India, Vasubandhu and Asanga. They lived around the third and fourth centuries AD. Again, it is not possible to affirm a lot of details about their lives. It seems to be fairly certain that Asanga was a Buddhist before his brother, and that he contributed to Vasubandhu's conversion, and that both of them promoted the Yogacara philosophy. Interestingly, the name has to do with the religious practice that the school advocated, namely to pursue physical and mental disciplines in order to attain enlightenment, but it does not speak to its theory of knowledge or reality. Yogacara accepted the notion of Sunyata. But it went on to raise the question of how it is that there are these two apparent levels of reality: the conventional everyday experience and the absolute Emptiness behind it. Vasubandhu and Asanga reasoned that, if I may simplify the argument, experience can only be had through experience. Consciousness can only come from consciousness. So, if there is an experience of consciousness, it must be grounded in consciousness. However, we cannot make any further inferences than that there is consciousness and that there are conscious experiences. Why is this seeming double-talk significant? Many, probably most, philosophers would never be willing to leave things as I stated them above. The seventeenth-century philosopher René Descartes, refreshing an argument first brought up by St. Augustine, argued from the fact that he was thinking to the conclusion that, he must therefore exist. There could only be thought, he said, if there were some kind of substance that was doing the thinking. The idea of thinking (or, for that matter, any kind of consciousness) without there being a subject who was thinking was not possible for him. Similarly, George Berkeley believed that to be is to be perceived; viz. that if anything exists, it exists as an object of consciousness. But again, he did not think that consciousness alone could exist; thus, there must also be a perceiver. So, two kinds of things existed according to Berkeley: first, the things that were perceived, and, second, the persons (including God, humans, and angels) who were perceiving those things. Now, this is where Yogacara does not follow the beaten path. It simply closes the door on taking that step from consciousness to there having to be someone experiencing the consciousness. Therefore, there is consciousness, and there is Sunyata. The world of experience is nothing but a projection of consciousness. The illusion of there being a self is a part of that projection. Furthermore, to attain enlightenment one must recognize that the experienced world, including our selves, is nothing but a projection of consciousness. The process of coming to this recognition involves eliminating all of the clutter that inhabits and defiles consciousness. When this is done, what is left is Sunyata, Emptiness. However, one wonders how pure consciousness, apart from a conscious subject, can have such an active imagination. Why does it lead us to believe that we as individuals are having experiences, and how does it provide such a variety of experiences? Why, for that matter, would this big cloud of pure consciousness bring about each person's unique experiences? It's all due to the force of a grand illusion, called maya. Picture this mass of consciousness as a huge container, the grand receptacle of knowledge, or Alaya Vijnana. Within this container are the "latent remnants" of previous experiences. I'm thinking of them along the line of the dark after-images that seem to sit in your eyes for a few minutes after you've looked at something startlingly bright. They're not the actual experiences, just their remainders. The actual word that had been used for these remnants even before Yogacara became a genuine school of philosophy was vasanas, which means "perfumings." So, these remnants of experience are suffused throughout Alaya Vijnana as though a child had gotten hold of a perfume sprayer and was pumping its content randomly, but vigorously, throughout a room. They may be there in passive storage for a long, long time. But I also said that these "remainders," the vasanas, were "latent," which doesn't make much sense by itself because if it's a remainder, it is spent, whereas if it is latent, its potential has not yet been actualized. It works this way: When maya, the force of illusion, comes around, it turns the vasana into a bija, a "seed," from which it will grow into another new experience, which will, in turn, leave its own vasana in the infinite collecting pot of Alaya Vijnana. This cycle continues endlessly, except for the individual who has attained Buddhahood and thereby has escaped from it, recognizing only Sunyata from that point on. In Madhyamaka, the content of our life-world is not real because it is only a part of the illusory spider web of dependent origination. We can consider it to be real as a "real illusion," but it is without essence and has no actual basis for being. At bottom of it all is Sunyata. In Yogacara, the content of our life-world is not real because it is one of the many illusions contained in Alaya Vijnana, where it has matured from being an impotent perfuming into a seed and from there into an actual illusory experience, which is a little fragment of this infinitely large consciousness. But nobody is there to be conscious of it, and at bottom all is Sunyata. Both sides of this table have been expanded and analyzed in many tomes, and for a summation as brief as this one one can only hope that the absence of greater depth has not undermined its accuracy altogether. The reason why Madhyamikins would not accept the Yogacara conclusions may be fairly obvious: When you come right down to it, consciousness in the form of Alaya Vijnana, appears to constitute a second ultimate reality alongside Sunyata. It will always be there and never disappear, except for the person who achieves full enlightenment. So, in that sense, Yogacara seems to present a dualism in which both Sunyata and Alaya Vijnana are the two constituents. Whether that is true we may leave in the hands of their adherents to battle out. Historically, Madhyamaka gained the majority of schools who would adopt it as their philosophical basis. For our last page on Mahayana, we shall look at some recent developments and maybe provide a quick comment from a Christian point of view. 1A quick point about language: The name of the school is Madhyamaka; as an adjective or as the name of an adherent it becomes Madhyamika, and--rightly or wrongly--that is the name that is more commonly used. Back to text.